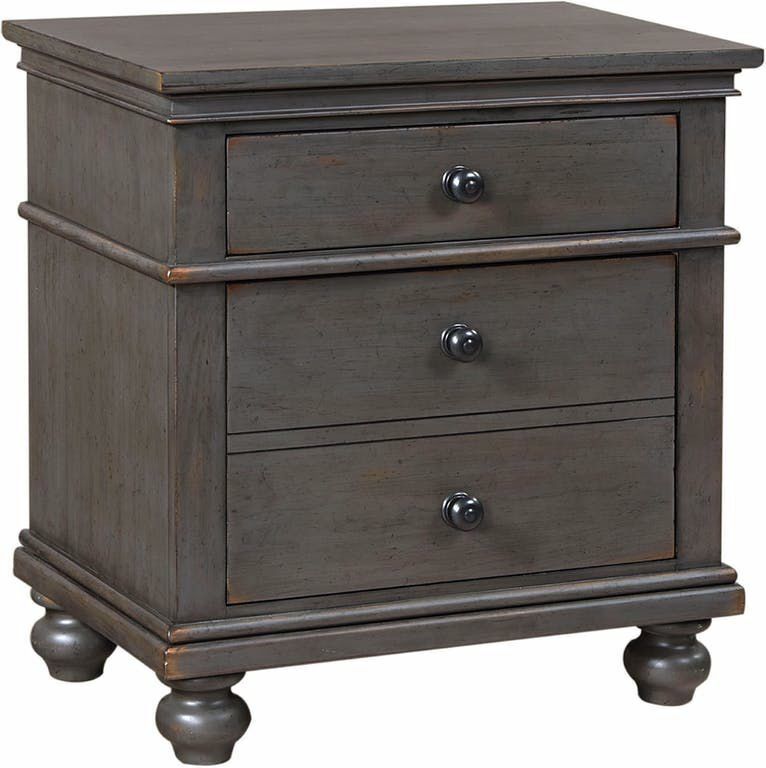 Upgrade any bedroom retreat with the elegant looks of the Oxford Two-Drawer Nightstand in Peppercorn Gray. Constructed from durable poplar solids and cherry veneers, it has a warm peppercorn finish that suits traditional and modern bedrooms. This transitional nightstand has two spacious drawers to take in all bedside essentials. 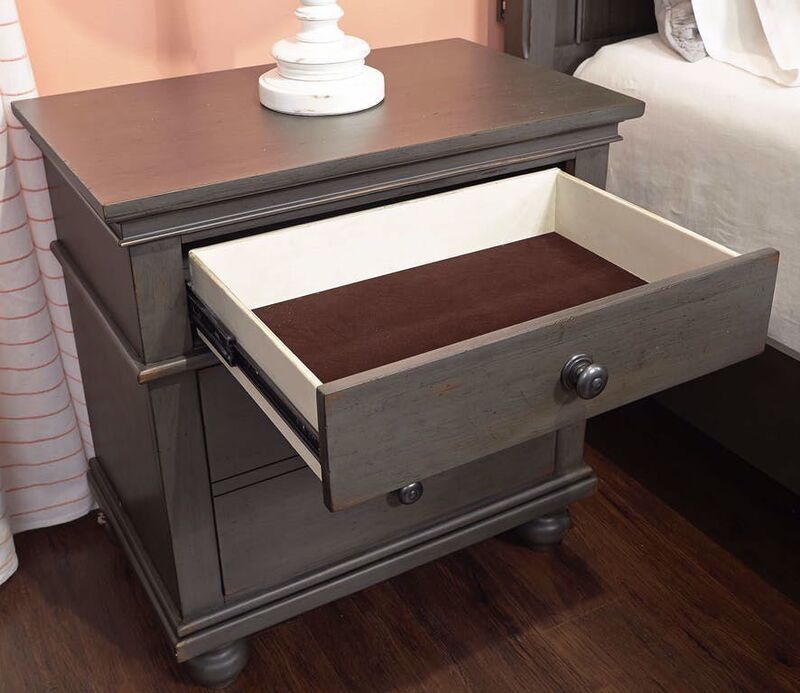 The top drawer is felt-lined to protect fragile items, while the cedar-lined bottom drawer has a concealed compartment to store important valuables. 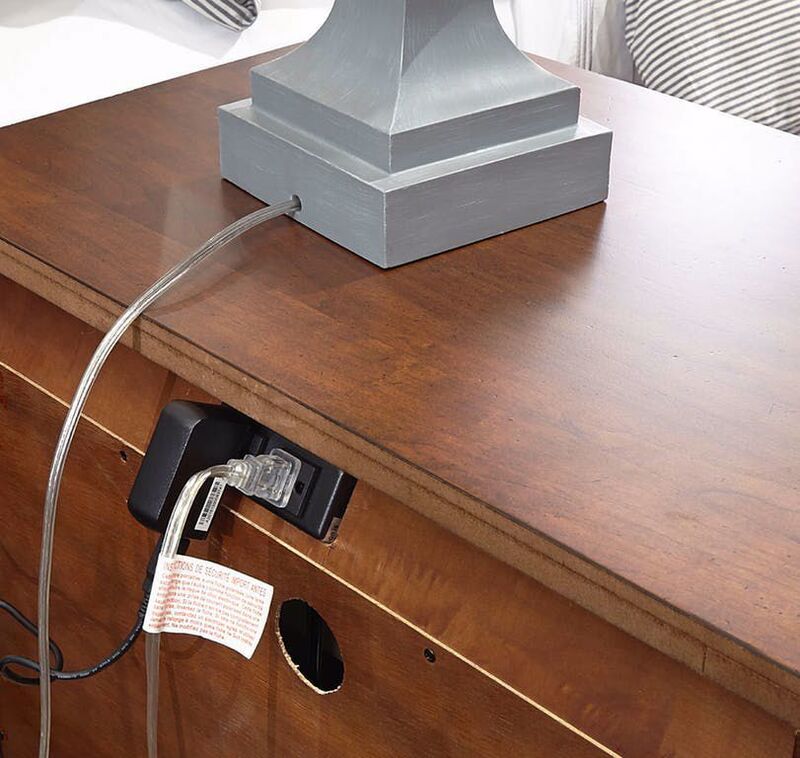 Additionally, this wooden nightstand has two AC power outlets for easy gadget connectivity and stands on round bun feet.